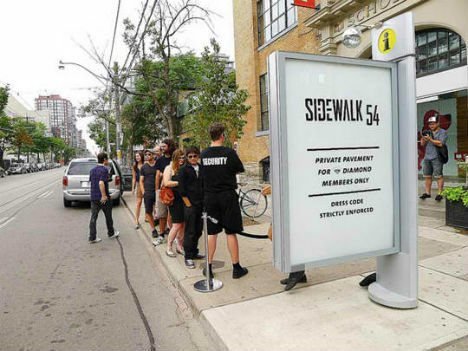 When the city sets up so-called ‘Info Pillars’ on the sidewalks – but then fills them with ads instead of actual information – how should the community respond? 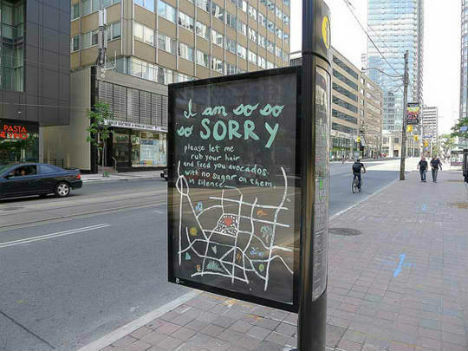 In Toronto, hacktivists decided to simply take things into their own hands, and replace the ads with art and information that’s actually useful. 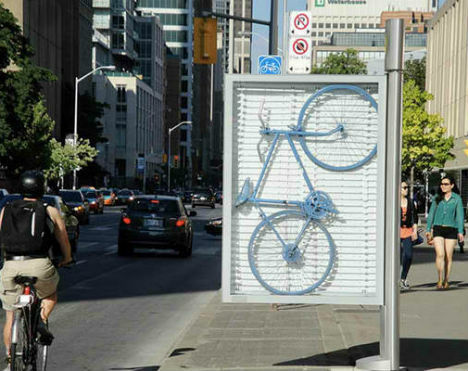 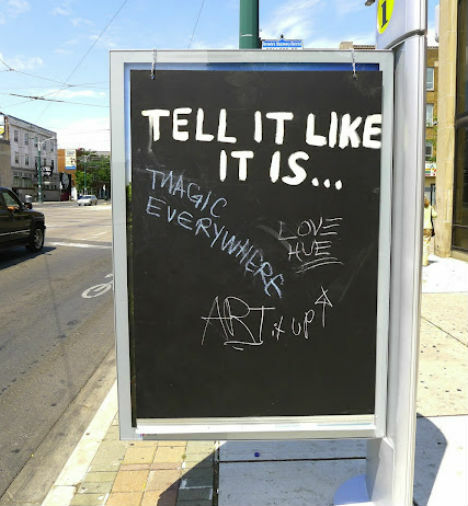 Last fall, the Spacing Toronto blog asked, “Is this really an ‘info’ pillar?”, displaying photographs of the installations. 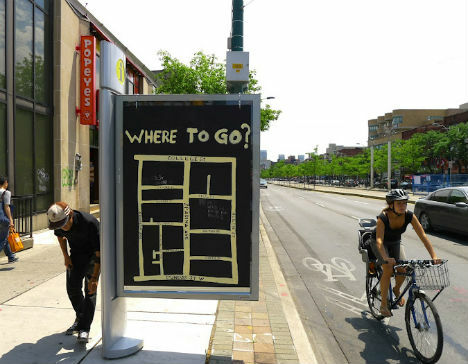 The narrow space on the column itself has info like maps and bus schedules, but the overwhelming majority of the pillar is covered in ads.